Committed to helping executives, leaders, teams and former competing athletes go beyond settling for average to become an elite performer in work, sports, and life. Being an athlete is all I desired to be as a kid, sports were my outlet. Playing sports was the one place I felt most like myself, and could be distracted from many of life's challenges. My dream was to become a professional athlete. It did not matter which sport, I was just completely driven to reach my highest potential as an athlete. However, things don't always go according to plan. After my parents divorced, and the death of my baby sister, I internalized my grief and pain, by channeling all my energy intro finding happiness and success in sports. I was a three sport athlete throughout high school and when it was over, my success in sports had me wanting more. After a successful four years in college as a two sport student-athlete, I walked away with my degree and a burning desire to continue my athletic career to see how far I could take myself. 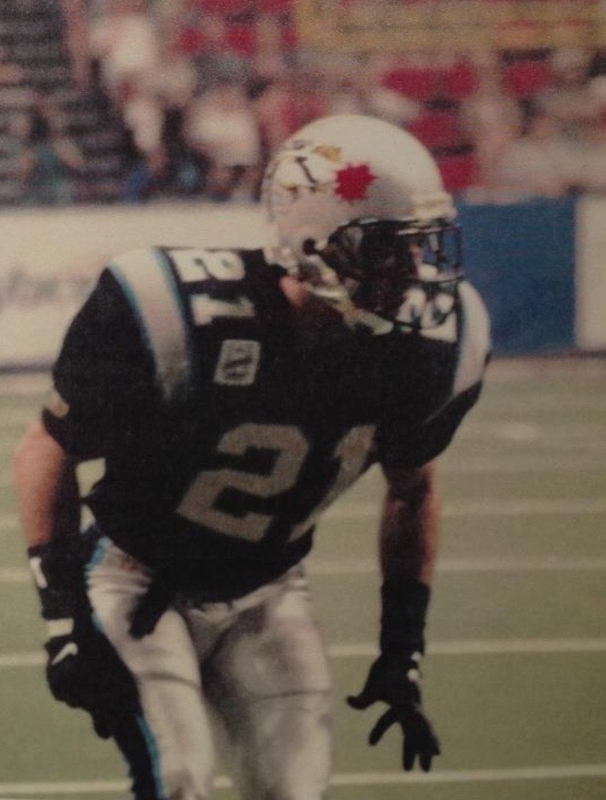 I don't know if it was my drive to reach my potential as a professional athlete, or my fear of not having a "next season," but two weeks after my college graduation I was on a plane to follow my dreams as a professional football player. I was fearless and determined to live out my dream. For four years I grew and developed as a player and a professional, until the night it all came crashing down. During a routine play, I fractured my leg and tore all the ligaments in my ankle. What I never really understood, or most likely failed to believe, was that my life as an athlete would some day come to an end. I had been playing sports my entire life with fire in my belly to be great, and to reach my highest potential, whatever that looked like. My rehab was long, and although I eventually came back to finish out the season, I was in pain and no longer able to perform at a high level. My entire life I had one dream, and when that dream was cut short, I was lost. What is my purpose in this life if not an athlete? How am I going to find another dream? How am I ever going to find something I love doing as much as I loved being an athlete? Over the next 15 years I found jobs, started businesses, and took on odd projects all in an attempt to find the same feeling, that same high, I once had as an athlete. In my attempts to find me I failed over and over. I disappointed a lot of people with my inability to find stability and success in my life. Most importantly I was disapointed in myself and doubting my existance. Through my struggles, I gravitated once again to the one thing I knew. The one place I felt like myself, being in athlete. 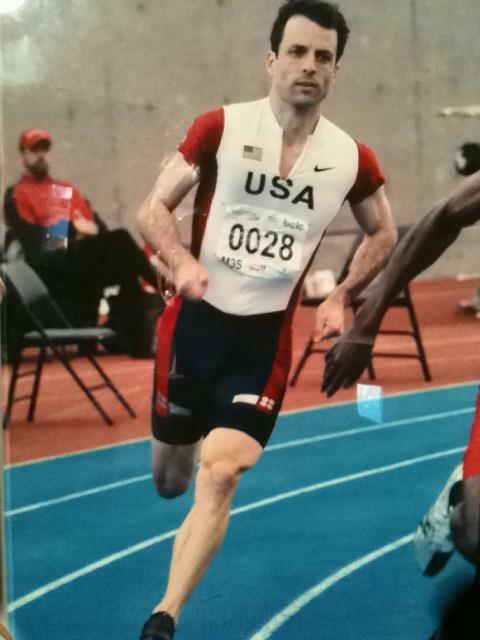 I reconnected to United States Track & Field, and found running as a break from my pain. It made me feel whole again. I ended up winning a Masters World Championship as part of Team USA, and although I felt alive, it did not solve my lack of purpose and meaning in the grand picture of life. I was lost, broke, depressed and searching for help. Despite my search, I could not find any stories, insight, direction, or advice from other former athletes who had been struggling like me. Athletes who found a way to overcome similar challenges to find greatness in life after sports. What I did find were other people, including athletes, just like me, who were going through the exact same things I had. They too were looking for help. The light went off for me. In all my years in sports and business all I had learned were the technical and tactical skills for executing my role. Why had I never been coached to develop myself as a human being to become the type of person who could perform at an elite level in life, work and sports? Far too often we get caught up defining ourselves by the scoreboard in life. In our society we caught up in defining ourselves by metrics such as our quotas, income, bonuses, GPA, stats, scores, wins and losses, square footage, retirement nest egg, etc. What about defining ourselves by our character, principles, morals, values and most importantly the number people we have been able to serve and help discover their own elite potential? I was humbled by the self-awareness process to create my own transformation. Now I am committed to helping executives, leaders, teams, and even former athletes to go beyond the scoreboard to become elite in business, sports and life. Through my keynote talks, experiential workshops, executive and one-on-one coaching, videos, and my podcast, I am able to be part of the solution to help others become dynamic human beings capable of reaching their potential and making a greater impact in the world. I am truly grateful for my path as an athlete. I have accomplished so much and met so many great people. I am also incredibly grateful for the mistakes I made, the lessons I've learned and those who have helped support me in finding my way. If you lead a company or a team, I know how challenging it can be to create a team culture of elite performers. In order to create the results we want, we have to look past the X's and O's and the typical metrics. We have to develop people first because when we do, the by-product is better results for them and you. It's a win/win. If you are a former athlete, I know what you are going through. I know what it feels like to struggle trying to find purpose and passion. I know the pain when settling for mediocrity in life. If you want to reclaim that high you once had as an athlete to create the lifestyle you desire and deserve, I would love to help you get there. We need more more people learning how to unlock their own potential in order to accomplish their dreams in life. Please join me on this journey, as I would be honored to support you in achieving what you truly desire in this life.